For audio and power connections. Cliff™ Electronics designs and manufactures an extensive range of touch-proof terminal binding posts. terminal binding posts in their UK factory. Applications include professional and consumer audio, test and measurement, power supplies, industrial and agricultural vehicle equipment, instrumentation and medical systems. 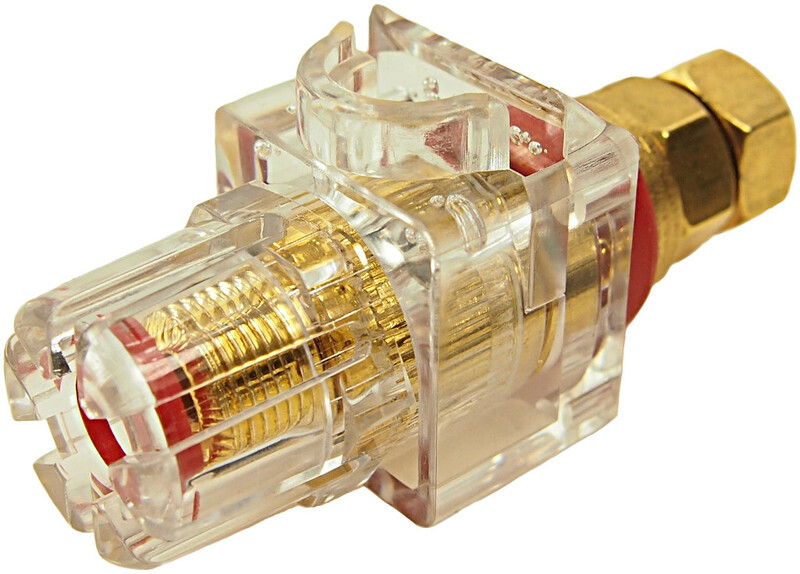 Responding to a growing demand from manufacturers of high-end audio, precision instrumentation and medical applications, Cliff™ have introduced a range of gold-plated terminal posts. The new models offer low contact resistance, improved signal integrity and greater resistance to oxidisation oxidization. low contact resistance, improved signal integrity and greater resistance to oxidisation. oxidization. 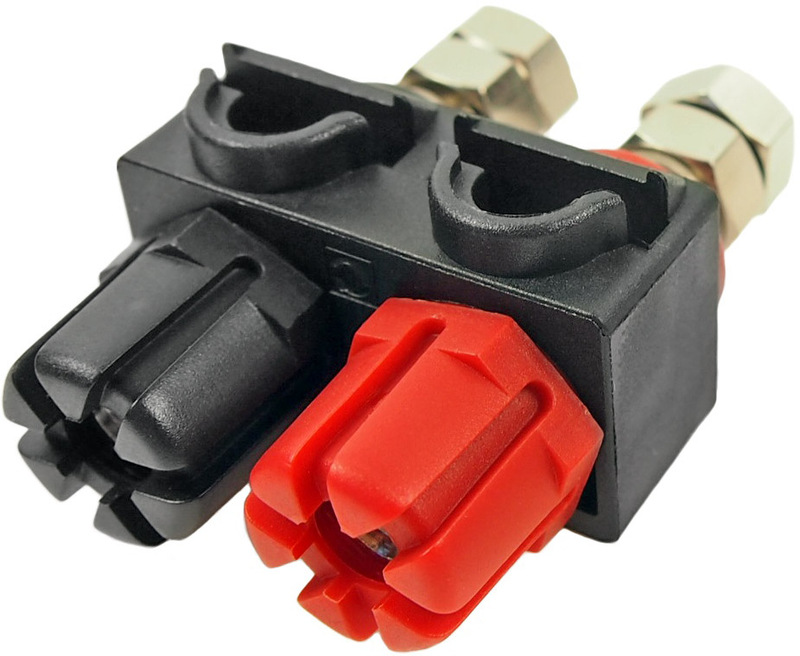 To meet the aesthetic esthetic requirements of top-end audio applications, the Cliff™ TP60CSG gold-plated terminal posts are available in a clear plastic body with black and red coloured colored inserts or with solid black or red bodies. 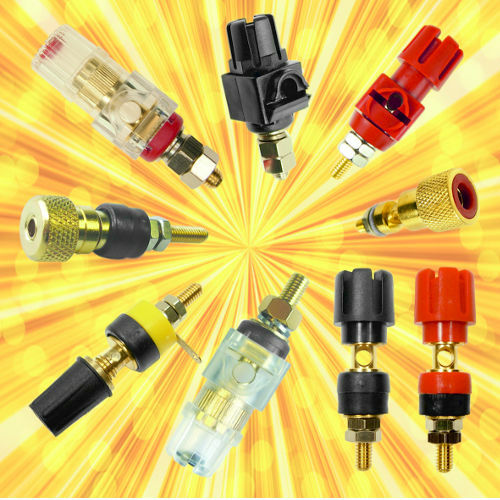 Designed to accept industry-standard, 4mm, banana plugs, they have a 6mm cross hole which accepts terminated or bare-ended cables and up to 6-gauge loudspeaker wire. The terminal posts are rated up to 60A. the TP2 series, 15A, suppled unassembled. the TP6, TP60L and TP60S professional heavy-duty binding posts, 30A, with either 37.2mm or 23.5mm spindle lengths. the TP44, 30A which may be mounted on to a chassis or into a recessed plate for test instruments. All Cliff™ terminal posts feature a castellated knob providing screw-down connection by a screwdriver or coin, conform to the general requirements of UL-813, BS-EN-60065 and are UL approved. Blanking buttons are available to ensure touch-proof safety properties. Cliff™ terminal posts can also be mounted on industry-standard, 24mm, XLR-panel, cut-out, customisable, customizable, recessed, socket plates to be integrated into feedthrough connector rack panels. Cliff™ also manufactures dual binding post assemblies in a variety of designs in either standard or custom configurations. For general purpose applications, standard terminal posts are available with a nickel finish. To simplify customer product assembly, Cliff™ offers preassembled, horizontal and vertical, PCB mounting, terminal plates in differing configurations using standard or custom terminals to suit specific applications. They also offer recessed, plastic Hi-Fi mounting plates. John Hall, Managing Director of Cliff™ Electronics, comments, “Terminal posts have almost unlimited applications. We sell 10,000 per month to just one customer and there are over 25,000 tractors in use that are fitted with them. We have large markets for them in the USA and Asia. 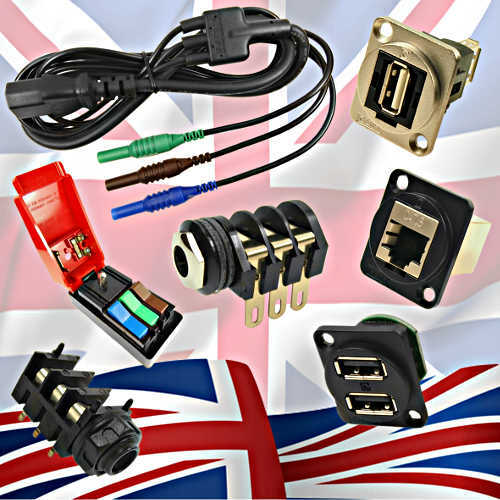 We are happy to undertake custom designs to ensure our customers get exactly the connector they require. To complement our terminal post range, we also offer bespoke test leads.”. Custom binding posts may also be designed for specific applications or to enhance the appearance of unique equipment. Cliff™ Electronics offer full design assistance for this custom design service. All versions of Cliff™ terminal posts are available direct or via major worldwide distributors. Quality supplier to professional and industrial markets.